Nicaragua gives us much to do and learn, and that’s just reading about it. When you come here see all of what you read come to life, it is a whole other story. Volcanoes beach Waterfalls Historic Cities where should we begin. No matter where you want to go, you are sure to enjoy yourself. Unlike other parts of Central America and Costa Rica, this country still has many of its colonial parts. Today this Country is a safe and peaceful place to visit, and tourism is the country’s largest industry. The country offers some incredible destinations to the intrepid traveler and its proximity to nearby Costa Rica has made traveling here easier than ever before. Over the years several world-class hotels and resorts have opened making travel through this beautiful land comfortable and safe. 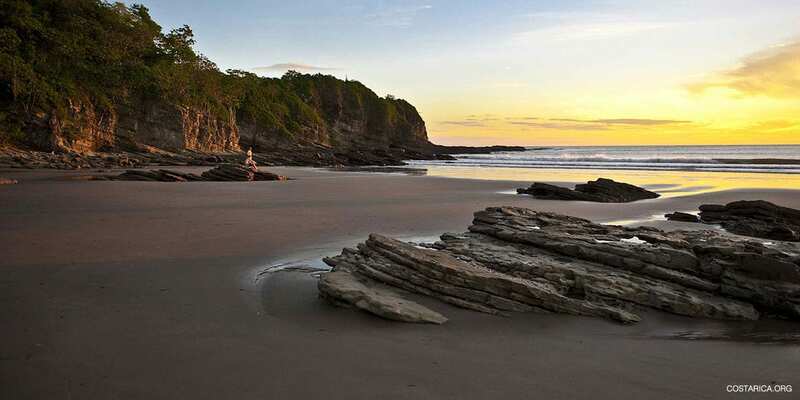 For those looking to get in touch with nature, Nicaragua has 78 national parks such as the Indio-Maiz Biological Reserve on the Caribbean border with Costa Rica, Los Guatusos Wildlife Reserve, Mombacho Cloud Forest Reserve and many others. If you are looking for culture and history, visit the colorful markets of Masaya, or the colonial town of Granada – one of the oldest city’s in the Americas. The Nicaraguans are generally warm and friendly people, who have a very hospitable spirit. Most visitors to Nicaragua will genuinely like the Nicaraguans and how nice they are. The food in Nicaragua is simple but very delicious! They rely on corn as a staple food and the cuisine is a mixture of indigenous, Spanish, and Creole influences. One of the traditional dishes is Vigorón – yucca, chicharrón, then a salad made out of cabbage and tomato. Also, famous for its’ cigars and rum! The national drink of Nicaragua is the wonderful Flor de Cana, one of the best rums in the world. Cigars are very popular in Nicaragua and rival Cuban cigars. The wildlife in here is numerous and there are a vast number of different species. The country is also home to many endemic species and those that are endangered, including the Jaguar. Over 18% of the land is part of a nature reserve and includes two of the largest in all of Central America. These nature reserves are rich in biodiversity with flora and fauna. The most famous one is the Indio Maiz Nature Reserve. This country is very diverse in terms of topography. There are mountain ranges, numerous active and dormant volcanoes, Caribbean Islands, the largest lake in Central America, and a beautiful Pacific Coast. The history here is characterized by turbulence and struggles for power. It began in the 1500s with the Spanish Empire colonizing here, in less then 30 years the indigenous population was dramatically reduced left was only a few thousand. The Atlantic coast in the 17th century became a British territory. It wasn’t until 1821 that Nicaragua gained independence from Spain. After its independence, there was widespread civil war. A dramatic event was when one side asked William Walker from the United States to help them, this was disastrous, and many Nicaraguans died. When Walker was finally defeated, there were 30 years of peace. The early 1900s is defined by the United States dominating Nicaraguan politics. The United States occupation was filled with brutalities, because of this one man was inspired to create a change, his name was Augusto C. Sandino. He tried to oust the US but was murdered inn 1934; Somoza took over control in 1937. Somoza was the US-backed dictatorship; his eldest son, who was the first to call for honest elections, succeeded him. During these elections Schick was elected, this did not sit well with Somoza’s other son who had wanted control. What followed was Somoza’s son creating the Sandinista movement to go against Shick. In December 1972, a 6.3 earthquake shook the country. This disaster allowed for the Sandinistas to gain power, which many Nicaraguans supported. This revolution left over 50,000 people dead and over 150,000 refugees. Those fighting against the Sandinistas were known as Contras. During the 1980s President Reagan of the United States committed to helping the Contras by arming them, sending troops, and placing an embargo on the country. During this civil war between the Contra and the Sandistas approximately over 60,000 soldiers were killed and over 50,000 civilians. The war had destroyed Nicaragua’s economy making it one of the poorest countries in the world. The civil war ended when Costa Rica’s President Oscar Arias asked the five Central American presidents to sign a peace plan. 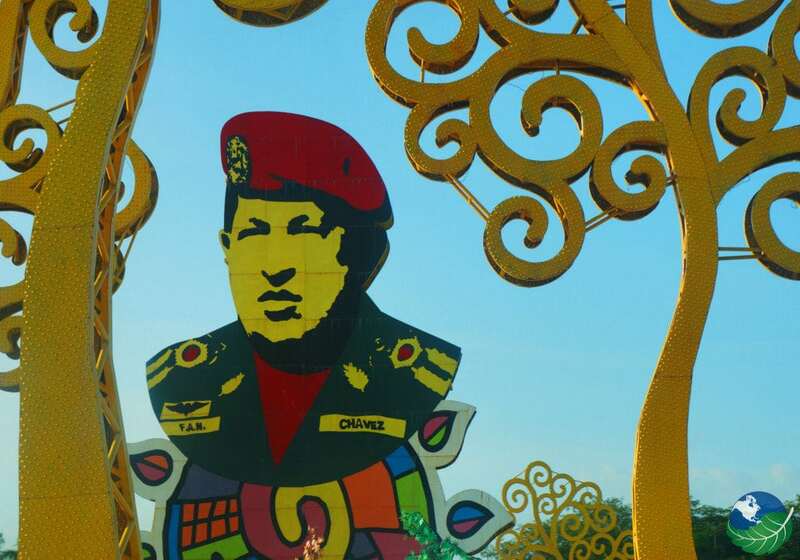 Because of Arias’ plan all of Central America was at peace in 1993, the first time in generations. Still troubled with a corrupt government but over time it has been dedicated to bringing the country out of poverty. The government has also taken great strides to enrich the country economically and increase healthcare and education. The culture of here is influenced from the past from the colonization by Spain and Britain as well as influences from Africa, primarily on the Caribbean coast. The official language of Nicaragua but on the eastern coast, creole-English can be found along with other indigenous languages. Nicaraguan people are known for their hospitality and friendliness and travelers will enjoy getting to know them and the country. Nicaragua is also known as the land of poets, the famous writer who helped create the Spanish-American literary movement, Rubén Darío, is from Nicaragua. Religion plays an important role in the culture here, as well as music and dance. Religious celebrations are important affairs and are well attended with dances and music. For many Nicaraguans saints are inspirations, and their lives and causes are celebrated. Each city has their Patron Saint that has been designated since colonial times. Festivals honoring the cities Patron Saints are called Fiestas Patronales. These festivals have celebrations that last for several days in a row and are very colorful and filled with the culture of Nicaragua. Nicaraguan music and dances are a mixture of different cultures, born from different heritages such as the indigenous tribes, European conquerors, and African slaves. Dances from the Caribbean coast have a lot of influences from Africa but are also danced near the pacific and other parts of Nicaragua. The different regions have their traditions. However, Nicaraguans consider themselves to share one cultural identity. The cuisine is a mixture of indigenous, Spanish, and Creole cuisine. Over the years these three cuisines have influenced each other and blended into what the cuisine is today. The traditional cuisine usually varies on the Pacific and Caribbean coast; the main difference is the cuisine of the Caribbean coast predominately uses seafood and coconut. To some foreigners, traditional Nicaraguan food may seem strange, but once you taste it you will enjoy the delicious taste of Nicaraguan cuisine! One of the most staple foods is corn; it has been the base in the cuisine of Nicaragua since pre-Colombian times. It is used widely in a variety of dishes, such as drinks, main dishes, snacks, and sweets. Rice and beans are also a staple in Nicaraguans diet. A common dish made with these two items is Gallo Pinto; this dish is eaten for breakfast and usually served with eggs. Vigorón is a traditional Nicaraguan dish and is very delicious. A plantain leaf is usually placed on a plate followed by yucca, chicharrón, then a salad made out of cabbage and tomato. Indio Viejo is a soup consisting of shredded meat, onions, sweet peppers, and tomatoes. Tortillas are placed in water and ground until forming a dough; then the dough is fried with the meat and vegetables, at the end a broth is added. Nacatamal is corn dough filled with pieces of pork or chicken, rice, potatoes, tomatoes, onions, and sweet peppers. The mixture is then placed in plantain leaves, which is folded tight and tied with thread then boiled. Tres Leches is a common desert in the cuisine of Nicaragua. It is a delicious cake made with three types of milk. Then a layer of icing is placed on the top. This is the perfect end to a delicious Nicaraguan dinner! The Republic of Nicaragua is a democratic republic comprised of four branches of government. The government of Nicaragua follows the 1987 constitution. The Executive branch of the government includes the President, the Vice President and the Cabinet, whose members are appointed by the President. In Nicaragua the President and Vice President are elected on the same ticket by popular vote and serve a five-year term. The President is the Head of the State and the Commander in Chief of the nation’s Defense and Security Forces. The Legislative branch in Nicaragua’s government is the National Assembly and is composed of 92 seats, 90 of the representatives are elected by universal vote for five-year terms. The other two seats are reserved for the previous president and the runner-up in the previous presidential election. The Electoral branch is made up of judges appointed by the National Assembly, these judges are responsible for organizing national, regional, and municipal elections. The last branch in the government of Nicaragua is the Judicial branch. This branch is the Supreme Court and is the highest judiciary power. There are 16 judges who are nominated by the National Assembly; these judges have administrative, civil, criminal, and constitutional chambers. The Supreme Court judges serve staggered five-year terms. The national currency of Nicaragua is called the Córdoba; it was introduced on March 20, 1912, replacing the peso moneda corriente. The Córdoba is named after Nicaragua’s founder, Francisco Hernandez de Córdoba. While in visiting the country you will most likely hear Nicaraguans refer to the Córdoba as a ‘peso’ or ‘real.’ The Córdoba’s prices are distinguished by the letter ‘C’ and a dollar sign, for example C$25. Córdoba’s have both banknotes and coins. The values of banknotes are C$500, C$100, C$50, C$20, and C$10. Sometimes you will see notes with values for 25¢, 10¢, 5¢, and 1¢, but these are rarely used. Value for the Córdoba coins are C$5 and C$1 and 50¢, 25¢, 10¢, and 5¢. Many places in Nicaragua have ATMs available and banks where you can exchange your money. If visiting Nicaragua the US Dollar is the easiest to use and exchange. Nicaragua is the largest country in Central America and is commonly known as the nation of lakes and volcanoes. It is bordered on the north by Honduras and Costa Rica on the south. On the western side is the Pacific Ocean and to the east lies the Caribbean Sea. It is characterized by three different types of natural regions, the Pacific lowlands, central highlands, and Caribbean lowlands. Nicaragua is divided into 15 departments and two autonomous regions these two are the Atlantico Norte and Atlantico Sur. The other 15 are Boaco, Carazo, Chinandega, Chontales, Estelí, Granada, Jinotega, Leon, Madriz, Managua, Masaya, Matagalpa, Nueva Segovia, Rio San Juan, and Rivas. Nicaragua has a stunning amount of coastline, with 350km of coastline on the Pacific coast and 450km on the Caribbean coast. It has 25 volcanic formations and more then 10,000 square km of lakes, lagoons, and rivers. 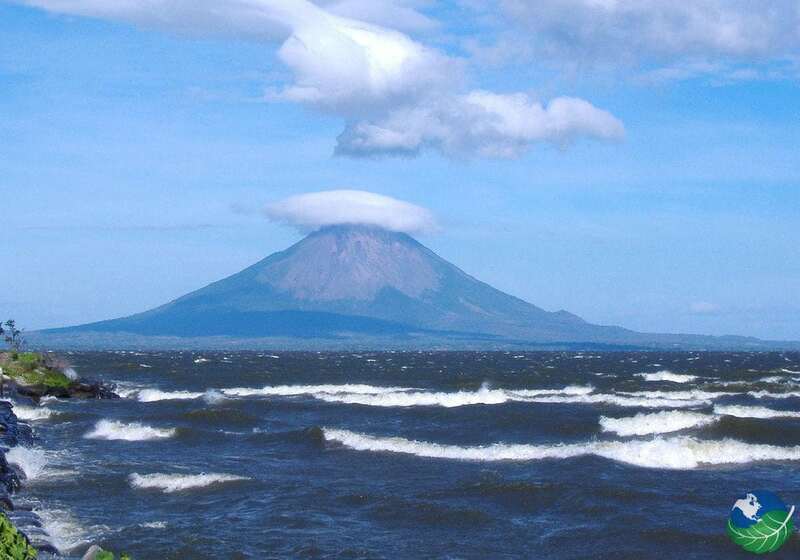 The nation also has three Biosphere Reserves declared by the Organization Biosphere Reserves by UNESCO; they are, Ometepe Island, Bosawas Reserve and the San Juan River. The Pacific lowlands are famous for Lake Nicaragua, the largest lake in Central America measuring over 150 km long and 75 km wide. Also located in this area is Nicaragua’s capital city Managua. The central highlands are characterized by rugged mountainous terrain. The western slopes are predominantly used for farming and the wetter eastern slopes for timber. The Caribbean lowlands make up approximately 50% of Nicaragua’s land. In this area, there are tropical rainforests and savannas. When visiting Nicaragua, you will be able to experience a range of microclimates. The different regions in Nicaragua have varied climates and change during the dry season and the green season. The average year round temperature of Nicaragua is 27 C or 80 F degrees. In the central highlands there are many mountains, and on these, the temperature can be considerably cooler. Humidity averages around 65% giving a ‘sticky’ feel to most places. The green season in Nicaragua runs from about mid-May to November. Rain during the green season is usually characterized by short but powerful downpours and longer showers at night. The rainiest months in Nicaragua are September and October; these are also the two months when sea turtles nest on the beaches. The green season is also referred to as the winter season because the temperatures are usually cooler. This season is also known as summer and runs from November to April. This time in Nicaragua is hotter and the hottest months are at the end of the season starting in March and starting to cool down in May. During the dry season is also the height of the tourist season, primarily because this is the best time for hiking and camping. The temperatures during the dry season soar into the mid-30s C or 90s F sometimes even higher. It is important to note that even during the dry season on the Caribbean coast there is still rain and along the Rio San Juan is considered to be one of the wettest places on earth no matter the season. Come here to find the best of the best for hotels and resorts in Nicaragua you are sure to find what you are looking for when you come. Nicaragua offers a unique travel destination to those willing to go off the beaten path. Visit stunning beaches, steaming volcanoes, lush rain forests and best of all – the Nicaraguan people! Nicaragua is the largest country in Central America, bordered by Honduras to the north and Costa Rica to the south. The capital city is Managua with nearly twenty-five percent of the population living there. While no one is sure as to where the name “Nicaragua” originated, one theory is that it may have meant “surrounded by water” in one native language referring to the two coast lines and the country’s two large freshwater lakes Lake Nicaragua and Lake Managua. What are you waiting for? Let us at use our experience and help you find the best hotel in Nicaragua! We can help you by offering only the best accommodations and tours and help make your vacation go smooth so you can relax and enjoy it. A blissful retreat awaits you at the Jicaro Island Ecolodge on Lake Nicaragua, Nicaragua. Stay in one of nine private casitas, or little houses at the Jicaro Ecolodge, and find harmony in the purely natural setting of the private island, the local, organic cuisine, yoga and wellness treatments, and nature excursions. Find true peace and relaxation at Morgans Rock in Nicaragua this tropical oasis feature fifteen exotic bungalows. Here you will feel in perfect harmony with nature. Nicaragua is a beautiful country to visit and there are many reasons why you should plan your next vacation for here! To give you an idea why Nicaragua is a perfect place for a vacation, here are the top destinations to visit in Nicaragua! 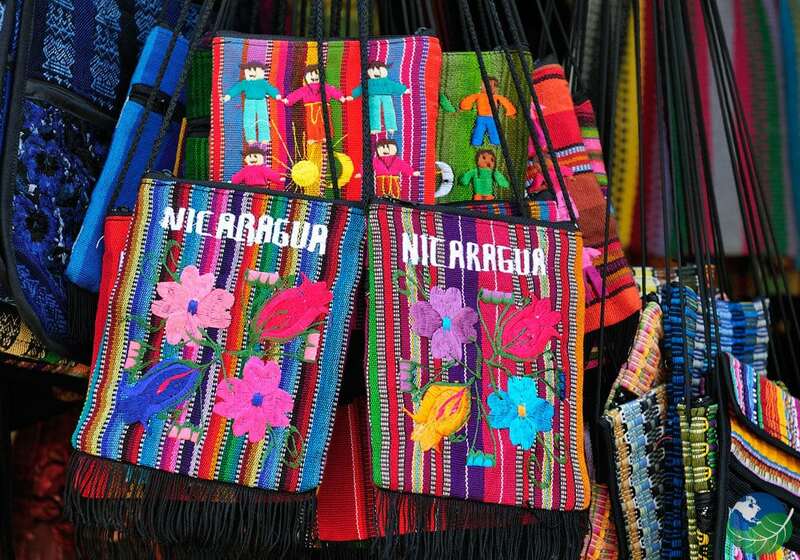 The charm of this beautiful country can be found in every town and true Nicaraguan culture can be seen. Granada a city of wonderment. If you haven’t ever been here before now is the time to come. 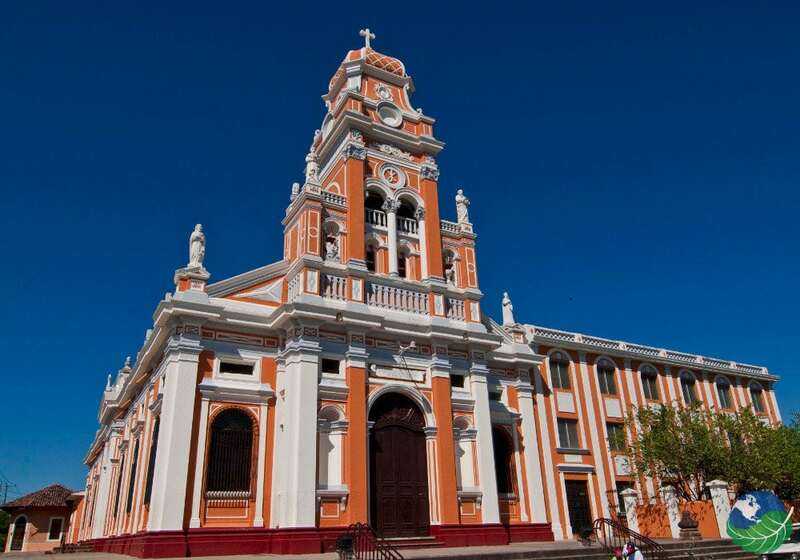 Granada Nicaragua is described as the Paris of latin America. San Juan Del Sur has very popular destinations to travel to on Nicaragua’s Pacific Coast! The Big Corn Island and Small island in the Caribbean offer great opportunities to see the Caribbean side of Nicaragua. Located on the shores of Lake Nicaragua. This area was home to Paleo-Indians almost as far back as 6000 years ago. Thinking of Visiting an island or Volcano on your next trip. Why no do both at the same time on the Ometepe Island? You will see Volcano Concepcion and Volcano Maderas. Truly a unique place. Come see the Masaya Volcano. Visit the local Artisan market and explore for yourself a huge variety of things to do in the area.